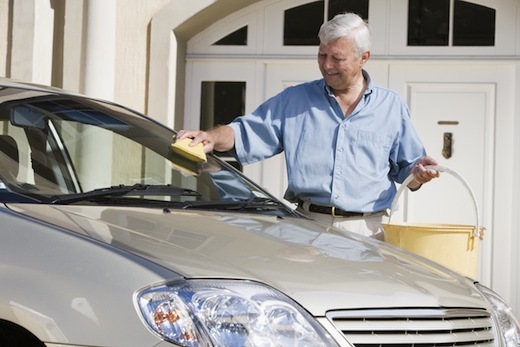 Does you car need a decent scrubbing? Need someone to go pick up your groceries at the store because you’re on a tight deadline at work? Could you use someone to install that damn Ikea closet in your kid’s room before the weekend? Not unlike TaskRabbit, Viatask and Agent Anything in the US, Milk.ly is a new marketplace that helps you get small things like that done by willing people in your neighborhood. That is, if you’re in London, which is where Milk.ly is starting out. Co-founded by former head of Display Platform at Yahoo EMEA Sal Matteis, Milk.ly is essentially a peer-to-peer marketplace that lets people outsource errands, tasks and a wide range of small jobs to a curated network of ‘runners’ or ‘milkmen’. The company also teams up with local businesses looking for ways to expand their reach and tap into new revenue streams for their services. As for the business model: Milk.ly takes a 15 percent commission on each transaction that results from its marketplace. Over time, the fledgling company also aims to introduce ‘corporate’ accounts that would allow office managers to have small errands or tasks handled by trusted and verified ‘milkmen’. From what I can gather, they’re currently focused on laying the groundworks for a sophisticated system that would enable ‘milkmen’ to receive notifications of newly posted tasks by email, through native mobile applications and even SMS. Milk.ly is also building a solid API to let third-party developers integrate with their service. The short-term goal is to expand to several urban areas across Europe this year. Long-term, Milk.ly wants to, oh, disrupt the entire labour market. The startup is backed by pan-European startup accelerator Seedcamp. Now, can someone pick up lunch for me please?